M arie has devoted more than 30 years to marketing and public relations for the wine and food industries. She began her career in the early 1980s as the first in-house public relations director for Sonoma-Cutrer Vineyards—where the message was strategically and singularly focused on Chardonnay. Part of the groundbreaking PR and marketing team that helped Sonoma-Cutrer Chardonnay become the number-one selling white wine in restaurants across the country, Marie coordinated both the first Focus on Chardonnay and the first International Croquet Tournament sponsored by the winery. The croquet tournament has now raised millions of dollars for local charities. Marie went on to launch the PR campaigns of Ferrari-Carano Vineyards and Winery, Bernardus, and Gauer Estate Vineyards—where she planned the first Mountain Winegrowing Symposium. At the time, mountain winegrowing was just gaining recognition in California. Gauer was equally progressive in its goal of preserving its 5,500-acre estate above the Alexander Valley, which remains in agriculture to this day. "Creating marketing and public relations campaigns that inform and inspire have led me around the world and into the good company of vibrant and dynamic colleagues. Who would have guessed in the early 1980s that our cottage wine industry would become a multi-billion dollar global business?" A love of the land and a desire to extend Sonoma County's reputation for high quality winegrapes to its other agricultural riches inspired Marie and her colleagues to work together in promoting the Sonoma County Chefs' Tasting in the 1990s. An original steering committee member, Marie remained on the board for seven years, working to establish the region as a destination for exceptional food and wine. Marie continues to work tirelessly for her community. A Board member of the Sonoma County Harvest Fair for nine years, serving as president in 2011, Marie initiated many changes. Marie sits on the advisory committees of the Santa Rosa Junior College’s (SRJC) Agribusiness and Wine Studies Department, the Healdsburg Farmers’ Market and the Healdsburg Jazz Festival. 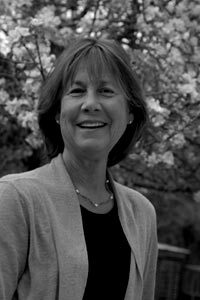 She is a past board member for the North Bay Cancer Alliance and Healdsburg Boys and Girls Club. MGPR was founded in 1990 with a mission to preserve agriculture as a way of life. Marie and her team share the belief that by planting the seeds of preservation through marketing campaigns that inform and inspire, the wine industry has an opportunity to show other farmers how to sustainably keep the land in agriculture for generations to come.